There may be a new guy set to step into the Power Man boots, but there’s only one dude who’ll ever fill that infamous yellow shirt and tiara – Luke Cage. 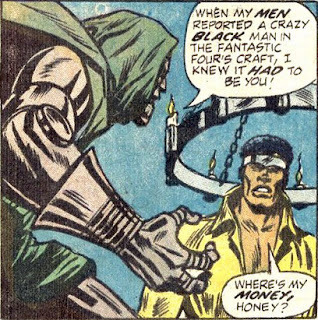 While I’m looking forward to seeing what kinda action the newbie gets into over the next few months, there’s an awesomely sweet article over at ComicsAlliance listing The Top 10 Most Awesome Moments of Luke Cage: Power Man, back when it was he putting the punch into the 'Power Man' brand. Get hip to their jive, click the jump to check the list out in all it’s four colour glory. Ha - Nice one CBL! Me, I have to stick with hunting down the odd issue at conventions and the friendly neighbourhood second-hand bookstore, but even that shopping list stretches further than Plastic Man at times!